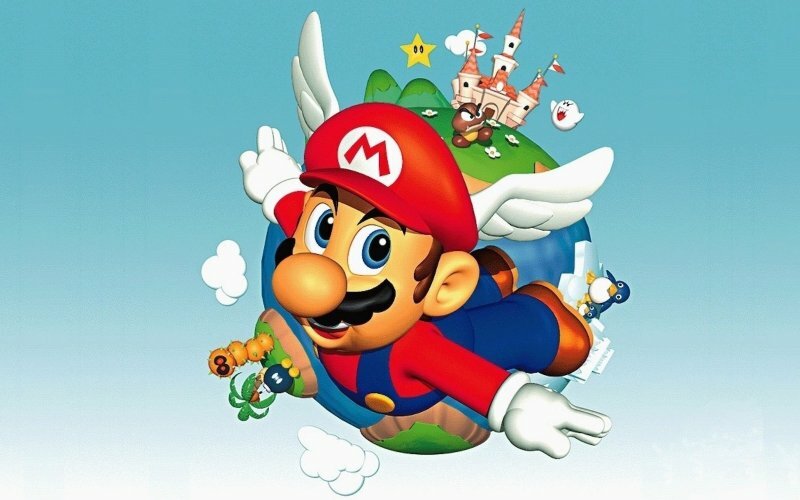 In the third of our ‘core’ Super Mario series podcasts we arrive at the dawn of the 64-bit era and perhaps one of the most esteemed launch titles of all, Super Mario 64. Leon, Tony, Darren Gargette and Karl remember the booting up and seeing Mario’s massive, malleable mug filling their cathode rays tubes for the first time, as do many of our valued forum contributors and Twitter correspondents. Dave “The Unstoppable Games Animal” Perry would be jealous of Darren “dezm0nd” Gargette’s Super Mario 64 skills. Darren owns the original PAL N64 cartridge but is capturing the game emulated on PC here.